Keith Emerson took his own life on March 11, and Greg Lake died of cancer on December 7. It must be a careless oversight, because there is no justification for omitting these iconic figures. Their contributions and impact on the world of music are undeniable. Left: Keith Emerson,Greg Lake and Carl Palmer at Records on wheels, Toronto, 1978. Emerson, Lake and Palmer broke open the decade of the 70s with their debut at the Isle of Wight Festival in August of 1970. Their fusion of classical, jazz and world music along with Keith’s prominent use of the Moog synthesizer and Hammond organ took the world by storm and changed the face of rock music forever. Having sold an estimated 48 million records worldwide, they certainly earned their place as one of the most iconic bands ever. Indeed, they were one of the first of the so-called “super groups,” having been assembled from members of other somewhat consequential bands: Keith Emerson came from The Nice, Greg Lake from King Crimson and Carl Palmer had been a member of The Crazy World of Arthur Brown and Atomic Rooster before he joined the band. While ELP wasn’t the first British super-group power trio, it was unique in several ways. Most British rock bands of the day based their music on American rock ‘n’ roll and rhythm & blues. 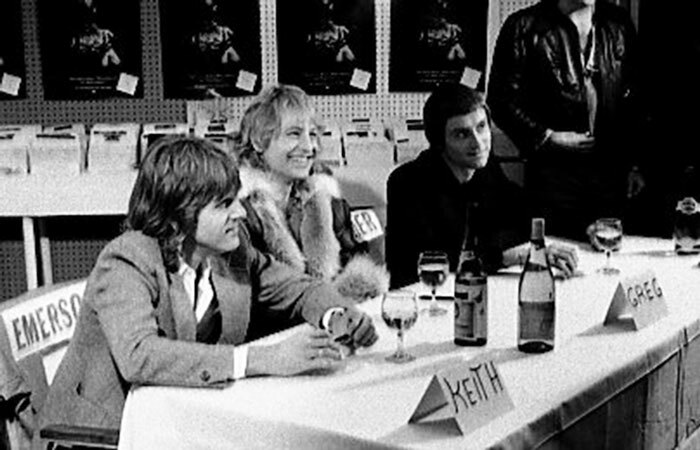 Instead, ELP was heavily influenced by classical music. Indeed, many of their tracks were classical compositions, including the entire third album, which was their arrangement of Model Mussorgsky’s “Pictures At An Exhibition.” Then there was their instrumentation. 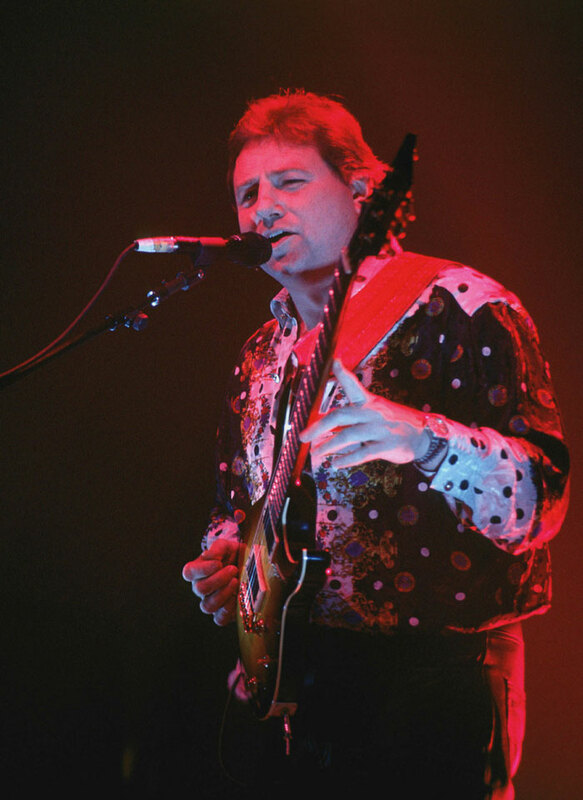 They were one of the first major rock bands not to prominently feature an electric guitar in their line-up (although Greg Lake did play guitar on some tracks, he was primarily featured on electric bass guitar). 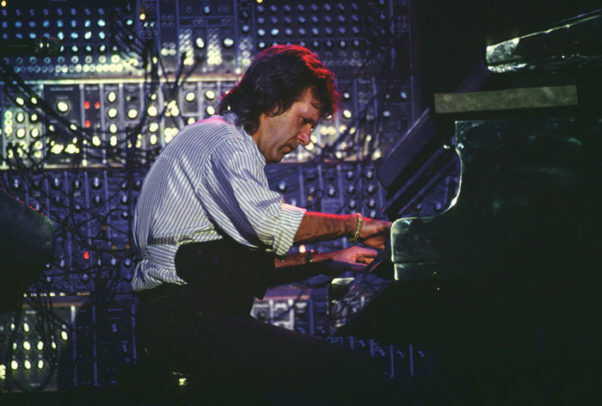 In place of lead guitar, was the enormously talented Keith Emerson playing a variety of keyboards: piano, pipe organ, clavinet, Hammond organ and, most notably, the Moog synthesizer. Emerson was a pioneer of synthesizer technology, and he took the art arguably further than anyone before. His keyboard wizardry was equaled by his powerful showmanship on stage, where he delighted audiences with his outrageous antics, including hoisting his organ and rocking it violently, shooting fireballs from his hand-held keyboard and spinning head over heels in mid-air while playing a concert grand piano. 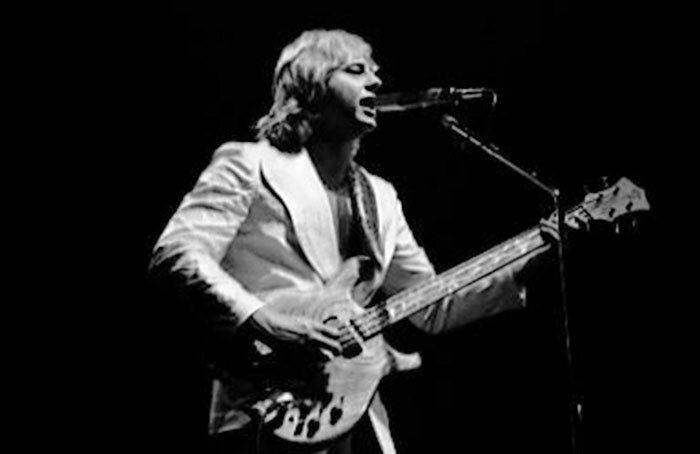 Their first album, Emerson, Lake & Palmer released in November, 1970, contained the ever-popular “Lucky Man,” a song Greg Lake had written at age 12 when he got his first guitar. “Lucky Man” proved to be radio friendly and garnered enough airplay to quickly propel the band to super-star status. The track showcases Lake’s deep resonant vocal style, and the iconic solo improvised by Keith Emerson at the end of the track was many people’s introduction to the Moog synthesizer. Although most of the tracks were instrumental in nature or too long for regular airplay (“Take A Pebble” clocks in at a whopping 12:32), the popularity of “Lucky Man” convinced FM stations to play more of those album tracks. This set the stage for a period of radio programming that allowed for such epic music to reach the airwaves. It was the heyday of what is now known as Progressive Rock, or Prog Rock as it is often (dismissively) referred to. ELP, along with YES, King Crimson, Genesis, Jethro Tull and others in the art rock genre (as it was sometimes called back then) were allowed onto the radio with ever longer, more intricate, classically oriented tracks. ELP was (forgive the pun) instrumental in bringing all this about. 1971 brought ELP’s next two albums Tarkus and Pictures at An Exhibition, Trilogy followed in 1972 and Brain Salad Surgery was released in 1973. I was fortunate to be a teenager at the time of their appearance, and to have a new LP released every year I was in high school. I can’t remember any of my friends not having two or three ELP records towards the front of their record collections. I attended numerous parties at the home of an avid hi-fi enthusiast and ELP fan who reveled in blasting us all with the bombastic and aggressive sounds of the trio which exemplified the awesome capacity of the very high-end system he had assembled. ELP continued through the ’70s with several other releases (including Works volumes 1 and 2, and live album Welcome Back My Friends), but it was those first five albums that really made an impact. In 1989 I had the opportunity to speak with Greg Lake at a radio function in London where I was serving as a broadcast production engineer. He had been interviewed by several radio station hosts, and was by himself at the bar in Bill Wyman’s Sticky Fingers Cafe where the event took place. After reminiscing with him about the ELP concerts I had attended (notably the Brain Salad Surgery tour where I saw them at Long Beach Arena and then shortly thereafter at “California Jam”) I put to him the big question. I said to him that ELP was on an upward trajectory through Brain Salad Surgery and they were set to blast off into the cosmos but then — I did not have to finish my thought. Greg knew immediately where I was going. He explained to me that the band had been growing apart over those last two albums, that by Brain Salad Surgery the compositions were done separately, with “Still … You Turn Me On” being mostly Lake and “Karn Evil 9” being mostly Emerson. He said that he and Carl Palmer were more interested in the rock side of their work, and Emerson was focused more on the classical aspect of the music. He went on to explain that Keith Emerson had the vision that 150 years from now, people would still be listening to Bach, Beethoven, Haydn — and Emerson. Only time will tell if his vision comes to pass. But there is no doubt the impact and appreciation of his body of work will last long after his passing. Dave Kephart is an independent broadcast engineer/producer in Thousand Oaks, CA. Dave engineered “The Lost Lennon Tapes” when he was with Westwood One Radio.